Midwestern Gothic staffer Jo Chang talked with author Jamie Wendt about her poetry collection Fruit of the Earth, the significance of religion in her work, being an English teacher, and more. 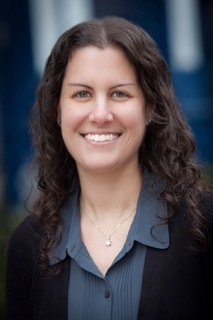 Jamie Wendt: I was born and raised in the north suburbs of Chicago. I spent four years in Iowa at Drake University getting my Bachelor of Science in education and my Bachelor of Arts in English. I also spent some time in Nebraska for the University of Nebraska low-res MFA program. After college, I returned to Chicago, where I currently reside. The city has such an amazing literary culture. I am enjoying raising my two kids in such a diverse environment. JC: As a graduate of Drake University in Iowa, and a current resident of Chicago, can you speak about what the Midwest means to you, and how the region has influenced your writing, if at all? JW: I am very much a product of the Midwest. I love Chicago and cannot see myself living anywhere else. My street is lined with more trees than the suburban street I grew up on. Chicago has so much natural beauty mixed with stunning artwork and architecture, and it has so many characters and unexpected images that make walking through my neighborhood part of my writing process. When I was in college, Iowa had a big impact on me as well. Going back and forth between the Chicago-area and Des Moines during college helped me figure out who I am. Iowa is beautiful and my experiences there occasionally pop up in my poetry. I was often the first Jew that my classmates ever met, and it caused me to read dozens of books on Judaism in order to answer their many questions. Those books caused me, in turn, to fall in love with Judaism as a lifestyle instead of simply a religion. While my new book, Fruit of the Earth, does have a handful of poems set in Chicago and Iowa, the book focuses more inward on my personal grappling with my community, my faith, and the moving on through stages of life. JC: As a high school English teacher, do you feel like your relationship with your students has influenced your development as a writer? JW: Being a teacher is such a rewarding challenge on a daily basis. I have often been inspired by the stories that my students tell me. As a teacher, I try to get them to realize that writing is an outlet to help them make sense of their experiences and to own those experiences. I want my students to realize that writing can help them figure out what matters to them most and that by writing well, they can gain the power of influence and persuasion. I have always wanted to be more than a “teacher who writes” and now that my book is being published, I feel like I can define myself as a “writer who teaches.” I like that, and I hope that my students see that it is possible to do what you love in your free time while having a very fulfilling career. JC: Your pride for your Jewish heritage shines through in your essays on Jewish writing, your contributions to the Jewish Book Council, and your forthcoming book, Fruit of the Earth. Can you speak about this relationship, and what personal significance it holds for you as a person and writer? JW: When I think about places that have personal significance to me and that also recur in my poems, the Jewish home is the place that keeps reappearing. Everything that I do throughout the day, from food I eat, to the Jewish artwork and mezuzot throughout my home, to the prayer I say before bedtime as well as the interactions I have with others and the books I read, they are all somehow connected to my Jewish values. Writing “Jewishly” is subconscious for me. Jewish images recur throughout my poems because they are such a part of my daily life. I have been writing book reviews for the Jewish Book Council for many years, and I treat those reviews somewhat as donations to the continuation of the Jewish literary tradition. I want to be a part of the conversation, whether it is through a book review, a poem, or an essay, many of which can be viewed on my website: jamiewendt.wordpress.com. JC: Fruit of the Earth explores displacement and division as it travels between the Old Country and the Promised Land. Can you explain how you gathered inspiration and research for this book? JW: Writing poetry helps me make sense of my life, even though I’m rarely conscious of what a poem will focus on or where it will end up until I go back to revise. But oftentimes, I am writing about Jewish experiences, which Fruit of the Earth revolves around. Israeli culture is very inspiring to me. I’ve been to Israel four times, and whenever I arrive home, I find that my writing returns to the beauty of Israel, whether it’s the land and the sea, or something simple, such as the appearance of Jewish garb on so many people, or the initial strangeness of picking up hitchhikers, which is normal there. The sand seems to get everywhere: your toes, your hair, your towels, your pockets. There is just so much sand from the Mediterranean to the desert, and the land literally sticks to your skin there. And then, freedom and war are so intertwined and complicated, and the histories are enormously thick and layered. I feel a much stronger connection to the land of Israel than to America. When America makes politically atrocious decisions, I am disgusted. I talk about it; I protest. But when Israel does something that I find appalling, part of me feels personally responsible simply because Israel is the Jewish country. Israel is the place mentioned on nearly every page of Jewish prayer-books and it’s the country whose news I read daily. I try to explore and understand my Jewish heritage and roots through many poems in Fruit of the Earth. I am very interested in the way that personal moments, whether mundane or significant, intertwine with the political. JC: Your first collection of poetry, Fruit of the Earth, debuted in 2018. Can you describe the process and your feelings as Fruit of the Earth’s publishing date drew near? 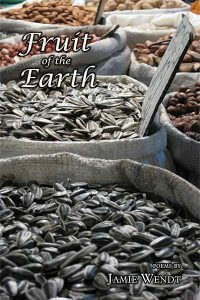 JW: It took me about five years to write and revise Fruit of the Earth. Many early drafts of these poems were part of my MFA thesis for the University of Nebraska. I’ve removed poems, heavily revised many, added others, played around with the order over and over again, and each time I changed something about it, I would submit the manuscript to a contest or open reading period. In late 2017, I printed out the whole manuscript for probably the dozenth time and laid the poems all over my living room floor, experimenting with a new order. I ended up creating five sections. Soon after I switched the order around, I submitted it to Main Street Rag Publishing Company, and they accepted it. I was thrilled, of course! There have been a high number of pre-sale purchases, so while my book was slated for release in September 2018, it was actually released on July 30. I’m very excited about hearing from readers about their thoughts on my poems, and I’m looking forward to participating in many readings. JC: What does your typical writing schedule look like when you are working on a project? How do you allocate your time spent drafting and editing, but also to tasks such as your day job and personal obligations? JW: Making time to write is one of my biggest challenges, mostly because I have two young children. Typically, I spend about four hours writing on weekend afternoons when my kids nap. I’m a teacher, so having summers off helps me focus more intently on a specific project and I am able to write more than I do during the school year. But due to being busy with my kids, my time is only available in short blocks, so I always create a goal for myself during the specific window of time that I have on a given day. My goals usually include something like, “write a new poem” or “revise two poems from last month” or “provide feedback on my writing partner’s poem.” I am often inspired by reading poems, so I always read before I write, usually for about twenty minutes. I rarely take notes or draft in a notebook; although, occasionally I will create lists of images surrounding a particular place or subject. I like to just get right into a poem by typing and letting my subconscious guide me through a first draft. JW: My book tour! I’m so excited about the release of Fruit of the Earth and to have the opportunity to read and discuss my poems with audiences around the Midwest. Please check my website for event details! In terms of future writing projects, I have been writing many poems lately on pregnancy and early motherhood as well as poems about my family’s connections to Chicago. I am excited about the possibilities for these poems, but I am focusing most of my energy right now on Fruit of the Earth. Please view sample poems and purchase information at this link to my publisher’s site: https://mainstreetragbookstore.com/product/fruit-of-the-earth-jamie-wendt/. Jamie Wendt is a graduate of the University of Nebraska Omaha MFA program. She received a Bachelor of Arts in English from Drake University. Her debut poetry collection, Fruit of the Earth, was released in July 2018 from Main Street Rag Publishing Company. Her poetry has been published in various literary journals, including Lilith, Raleigh Review, Minerva Rising, Third Wednesday, and Saranac Review. Her essays and book reviews have been published in Green Mountains Review, the Forward, Literary Mama, and others. She teaches high school English and lives in Chicago with her husband and two children. Find her at jamiewendt.wordpress.com.